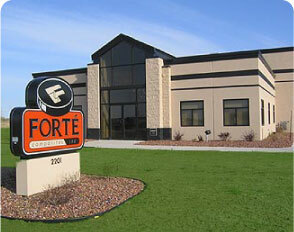 Forté Composites is an outsource manufacturer of pre-cast polymer concrete. We provide an alternative manufacturing process that may improve upon or build your existing product line. We specialize in product innovation and development. Forté Composites partners with its clients to evaluate products currently made with materials such as fiberglass, wood, or metal and identify product enhancements available through the use of polymer concrete. Polymer concrete may be used to increase durability and to improve product appearance. Polymer concrete has a number of desirable qualities including fire and chemical resistance. Forté Composites offers full-service project execution from design and manufacture to packaging and distribution. Contact us to learn how polymer concrete from Forté Composites can help your business grow.